A revelatory and disturbing portrait of China, this is Anchee Min’s celebrated memoir of growing up in the last years of Mao’s China. As a child, Min was asked to publicly humiliate a teacher; at seventeen, she was sent to work at a labor collective. Forbidden to speak, dress, read, write, or love as she pleased, she found a lifeline in a secret love affair with another woman. Miraculously selected for the film version of one of Madame Mao’s political operas, Min’s life changed overnight. Then Chairman Mao suddenly died, taking with him an entire world. This national bestseller and New York Times Notable Book is exceptional for its candor, its poignancy, its courage, and for its prose which Newsweek calls "as delicate and evocative as a traditional Chinese brush painting." "[An] extraordinary story. . . . This memoir of sexual freedom is [both] a powerful political as well as literary statement." "Gripping. . . .reads like raw testimony. . .epic drama, and. . .poetic incantation. . . . It was passion and despair that made [Min] fearless; it was fearlessness that made her a writer." 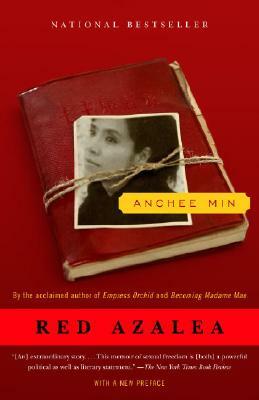 "Stunning. . . . Min's is a distinct and moving voice speaking out of a cauldron of history."